Semilla Nueva is currently seeking a Monitoring and Evaluation (M&E) Coordinator to oversee the program design and impact assessment of their intervention. They are looking for an experienced individual to continue this work into the coming year, develop relationships with external research partners (both in-country and abroad), and to lay the foundation for evidence generation and data collection. The selected individual will play a key role in shaping Semilla Nueva’s program strategy and will collaborate in producing cutting-edge evidence for a nationally scalable intervention. The ABA Rule of Law Initiative is currently seeking candidates to fill programmatic positions both at our headquarters in Washington, DC and abroad in our field offices. Successful applicants would join a dynamic team of program staff, who are dedicated to promoting the rule of law in Africa, Asia, Europe and Eurasia, Latin America and the Caribbean, and the Middle East and North Africa. Those candidates with relevant language skills, experience living abroad, and familiarity with United States Government funding requirements are particularly encouraged to apply. 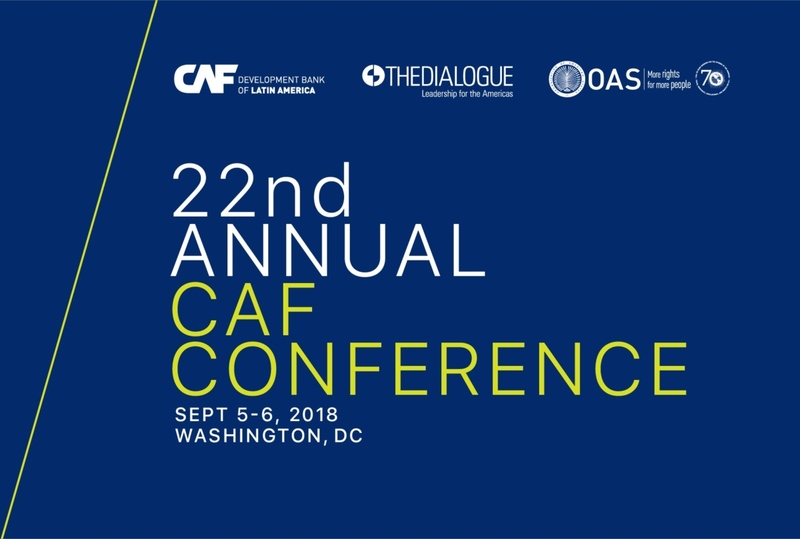 Established in 1996 as a joint initiative of CAF – Development Bank of Latin America, the Inter-American Dialogue, and the Organization of American States, the Annual CAF Conference brings together more than 1,000 world leaders to debate and discuss the most pressing developments facing the Americas. Now in its 22nd year, the conference has grown to become the primary forum for policy makers and analysts, journalists, governments and international organizations, entrepreneurs and investors, and civil society representatives to review progress in the Western Hemisphere and address pending challenges. Summer is in full swing and we hope you're making the most of it. Our next PiLA event is Uptown Bounce, a FREE summer block party by the Museo del Barrio and the Museum of the City of New York. There will be food and drinks for sale, live music, and a chance to soak up the city's energy. The event is on Wednesday, August 1 and we will be meeting in front of the Museo del Barrio at 6:30. RSVP here & let us know if you're planning on joining in on the fun! Can't wait to see you! PiLA made an age-long dream come true. Since studying abroad in Brazil during college, I knew I wanted to go back to Latin America to live and work. PiLA and Endeavor allowed me to explore my interests in Latin America, economic development and how the private sector could be a vehicle for that. I had plans to apply to business school the year that I arrived in Chile. However, the minute I stepped foot in the town of Puerto Varas, Chile, I knew that one year would not be enough. I decided not to apply that year and see where this Chilean adventure would take me. Working at Endeavor exposed me to passionate entrepreneurs, new industries and business models. My year at Endeavor led me to work for a South African Endeavor company expanding into Latin America. After nearly two years in Chile, I went into business school eventually with more clarity about what I wanted to do in the future - while I’m still on a journey towards my dream job, PiLA was a pivotal step towards it and has given me much more credibility. Living in the beautiful, snow-capped volcano, welcoming town of Puerto Varas, Chile and interacting with amazing entrepreneurs. There’s a delicious Balkan tapas place on Capitol Hill (Barracks Row) called Ambar. You can also frequently find me at Barcelona Wine Bar on 14th Street - great ambiance, wine and delicious tapas. Question for Nick : What do you wish you had known or had done differently during your PiLA year?